You can reach out to us anytime by filling out the "Let's talk" form or by calling us on 1800 257 221. Once you've filled out the form, one of our team members will contact you. Customer Support: If you need parts or service for one your Hako machines or technical support, our experienced staff are here to help. Sales: Interested in a Hako machine? One of our application specialists will contact you to discuss your interest or to help recommend the right machine for your needs. 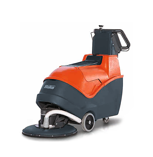 Request a demo: If you want to see for yourself how well a Hako machine will clean your floor, we are happy to provide a free demonstration. Or you can simply share feedback with us – It helps us be better at what we do and also helps drive the next generation of Hako machines that will keep your facility clean. Please complete all fields marked * to submit the form.